The vintage started with a long winter and one of the driest ones in the past years followed by an inexistent Spring. The crop development was very slow due to important climatic variations. The winemakers’ work was therefore crucial to get good quality grapes in small quantities. 2013 was a complicated vintage and late but is wonderfully balanced and is very promising. The vines grow on limestone, calcareous marl and sandy soils, giving the Grenache immense finesse and elegance with unique aromas. Located mid-hill, just under the village centre, the Famille Perrin vineyard is amongst the most historical vineyards in Gigondas. It benefits from a flow of cold air which blows through the valley situated to the west of the village. Limestone, calcareous marl, clay and sand. The vines are planted on terraces, facing northwest. The whole harvest is destemmed. Vinification in wooden truncated casks and stainless steel tanks. Ageing in Foudres and barriques. In 2013, harvest of the Grenache was a challenge. Plot selections and a ruthless sorting out in the vineyard allowed us to produce this beautiful wine. The nose is complex with rich notes of red and black fruit. The mouth is lush and powerful, the tannins are soft and elegant with a long and mineral finish. Serve at 16°C with a veal chop with morels or a crispy lamb breast. "Deep ruby. Potent, mineral-accented black raspberry, cherry and floral pastille scents show excellent clarity and pick up a bright, spicy quality as the wine opens up. Concentrated yet lively, displaying strong lift and cut to the juicy dark berry and bitter cherry flavors. Clings with excellent tenacity on the floral-dominated finish, which is framed by smooth, even tannins. " "Smooth, silky and bright with meaty, earthy, spicy style with lively raspberry and plum; soft tannins and good length. Syrah, Grenache." 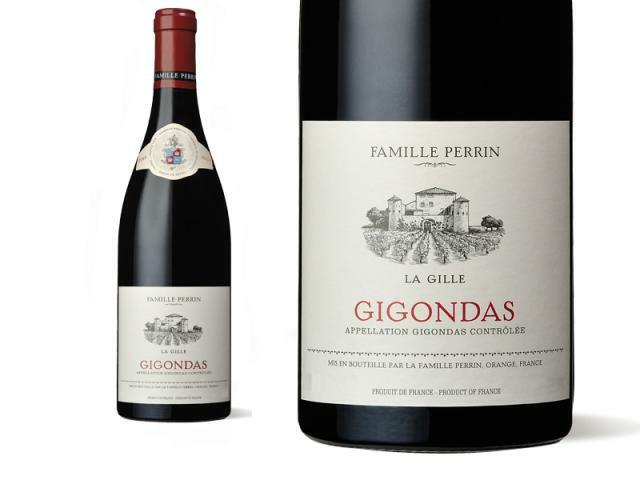 "The Perrins have been investing in vineyards and various other visitor attractions at Gigondas - they mean business. This is good, big wine with concerted juice at its heart: drink it with stews and game dishes." "Bright violet color. Potent, mineral-tinged red berry and floral aromas pick up notes of garrigue and allspice with air. Rich yet lively Gigonads, with strong lift and thrust to its sweet raspberry and floral pastille flavors. Closes spicy, stony and very long, with gentle tannins coming on late."